The College Student Leadership programme, run jointly with NUS Scotland, comprised a series of events and toolkits. 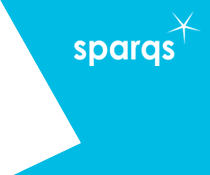 As of 2015, sparqs and NUS Scotland now provide support to colleges on a separate basis, with sparqs delivering That's Quality Colleges and NUS Scotland delivering Lead and Change. Whilst the College Student Leadership programme is no longer delivered, this page is still currently available for reference, linking to materials and resources below. The 2014 College Student Leadership programme for Presidents and Vice Presidents (previously called Supporting College Student Governors) took place on 8th and 9th July 2014 at University of Strathclyde in Glasgow. You can view the College Student Leadrship Slides from the day. This training was an opportunity for newly elected officers from around Scotland to come together to learn more about their role and plan for the year ahead. The core focus of the course is in developing officers' skills to be able to effectively represent and engage with their students on campus. The training included sessions focusing on areas such as effective representation, leadership, engaging the student body, public speaking and decision making. The training also gave officers the opportunity to learn about the education system within Scotland’s colleges and explore how they can support students to effectively engage and enhance their educational experience. Following on from the College Student Leadership event in July, we held a half-day event for student Board members on Friday 31st October 2014. Participants found out what it means to be a student board member and developed the skills they will need to do this effectively. The event was also an opportunity to network with new and returning student board members to learn from each other’s experiences and support one another during the year. The toolkits aim to help colleges, boards and students' associations in the enhancement of student engagement in the work of boards. They provide various reflective exercises and questions, plus examples of good practice and helpful resources, that users will be able to draw upon in identifying, celebrating and enhancing their own activities in this area. Toolkit 4 - Who's involved in supporting the student member? As the toolkits explain, they are designed to be used in an informal, interactive way, and while colleges are encouraged to use these resources in small groups internally, sparqs is very happy to provide support or facilitation in the use of the toolkits and is always keen for feedback from users. For more information, please contact the sparqs office.